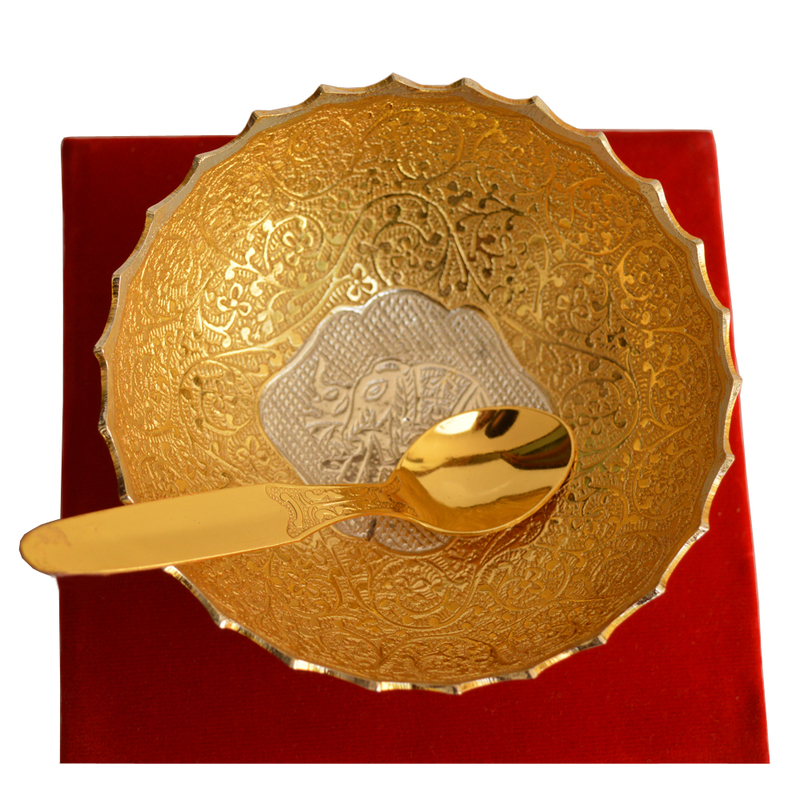 The mesmerizing combination of the warm hue of gold with the dazzling aura of silver makes the bowl in this German Silver Double Tone Bowl Read More..with Spoon Set a thing of immense beauty. The intricate detailing of the design work present on the dual toned interior of the bowl makes it beautiful beyond words, while the equally beautiful golden hued spoon completes the set by enhancing its charm and usability. Therefore, this set is best served by becoming a part of the most sophisticated of dining tables. Show Less..